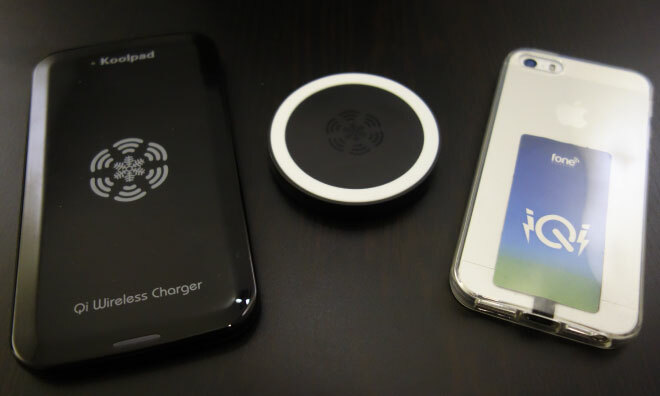 Wireless charging is many gadget lovers’ white whale, a tantalizing idea that’s maddeningly difficult to capture. Few handsets natively support the technology, leaving most consumers to wade through a dense bog of competing standards and third-party add-ons. Those that make it through to the other side often find today’s solutions unsightly and difficult to use — most require the phone to be ensconced in a cumbersome case, while charging pads can be at best finicky and at worst downright annoying. In this light, it’s easy to see why the iQi’s promise of hassle-free wireless charging without any added bulk helped it raise more than five times its $30,000 crowdfunding goal. Unfortunately, after more than a week with the device, we’re forced to conclude that the $35 iQi is just one more harpoon that missed the mark. London-based Fonesalesman provided us with one iQi receiver and two charging pads, the company’s notepad-sized Koolpad and a smaller, travel-friendly option called the Koolpuck. All three products are designed to work with the Qi charging system. The iQi itself is composed of a plastic-wrapped induction coil connected to a male Lightning plug with a small ribbon cable. It’s compatible with any Lightning-enabled device, including the fifth-generation iPod Touch. The entire assembly is impressively compact, about two-thirds the size of a standard credit card and half as thin. This diminutive stature allows the iQi to slip unobtrusively behind any soft iPhone case, leaving a barely-perceptible bulge. We did find one problem with the iQi’s relatively dainty build: the ribbon cable is fragile, and our first unit would only charge with the cable bent at a specific angle. We can’t be sure whether this was a manufacturing fault or a failure that happened as a result of installation, though a replacement unit hasn’t exhibited the same issue. The charging pads are fairly standard bits of kit, sporting micro USB ports for power and understated flat black aesthetics. 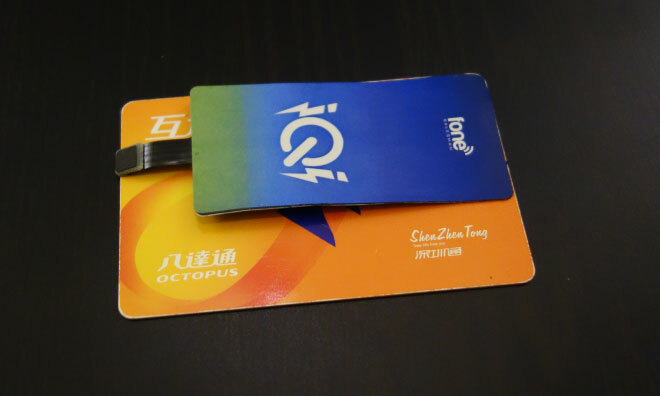 The iQi will also work with any other Qi-compatible charging pad, like Nokia’s well-designed DT-900, so users aren’t constrained to Fonesalesman’s offerings. 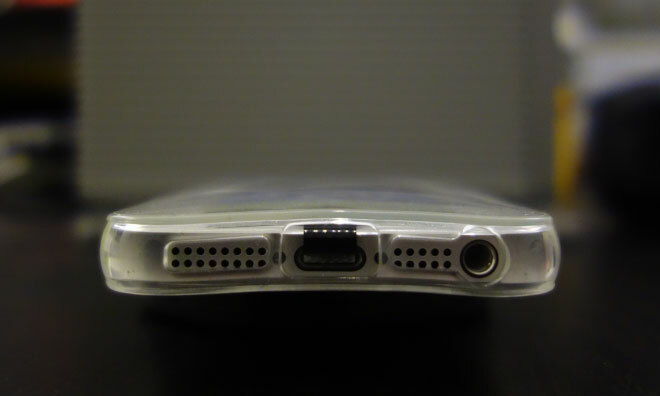 Installing the iQi is a simple affair: insert the Lightning plug, gently fold the receiver around the back of the phone, and slip on a case of your choice. Fonesalesman includes a small rubber sticker to help the iQi stay in place, but we had no issues using the receiver without it. When the receiver works, it works well — charging an iPhone 5s takes just a few minutes longer using the iQi than it does using a standard Apple charger. Unfortunately, it’s just not reliable. Some of the problems are caused by the Qi standard itself. Qi’s design requires the receiver to be precisely aligned with the transceiver in the charging pads, a surprisingly daunting task. Using the larger Koolpad, we often needed as many as five tries to get the iQi-equipped phone properly positioned. This made us gravitate toward the Koolpuck, which was an improvement if for no other reason than its smaller size provides less margin for error. Even after successfully connecting the iQi to its home base, there’s no guarantee of a complete powerup. We occasionally left the phone to charge with what appeared to be a good connection, but returned to find that it had stopped without warning. The issue recurred even while charging the phone in airplane mode in an attempt to rule out software interference. Additionally, the iQi is not certified with Apple’s Made for iPhone program. As a result, iOS will sometimes warn about the unsupported accessory and refuse to accept its life-giving charge until the iQi is removed and replaced. There’s also no guarantee that future iOS versions will allow the iQi to operate at all, possibly rendering the investment worthless. We really wanted to like the iQi, and it has gone as far as the underlying charging technology can take it — unfortunately, that’s just not far enough. The problems brought on by the lack of Made for iPhone certification mean that we can’t recommend the iQi for most users. Until those issues are resolved, only the most ardent cord cutters should consider it. The iQi Mobile wireless iPhone charger with Lightning connector is available for $22.99 from Amazon, where it is sold by the manufacturer and fulfilled by Amazon, making it eligible for free two-day Prime shipping.